It is always a proud moment when a staff member of ours is recognised for their hard work, dedication and commitment. Athenkosi is a service staff member that has been with us for several years. In 2012 she started working at Bayethe Tented Lodge. 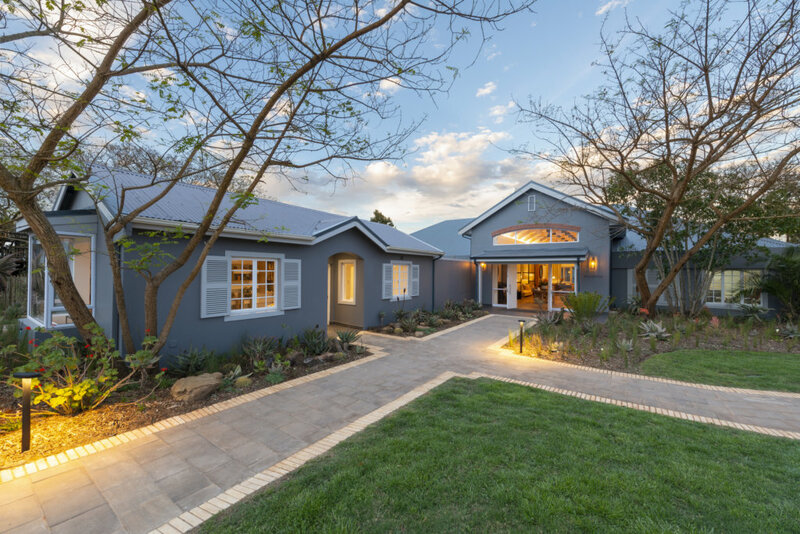 She has since worked her way up to be a member of the new Riverdene Family Lodge. Recently, she won the F&B (Food & Beverage) service award at the Exclusive Hospitality Concepts Gala Dinner. Athenkosi was delighted to be nominated for such a prestigious award. Stephani van Rooyen, her lodge manager from Sarili Lodge, nominated her for the award. Athi worked at Sarili Lodge for about three years. Stephani said that she was an absolute pleasure to work with as guests absolutely love her professional and friendly demeanour. 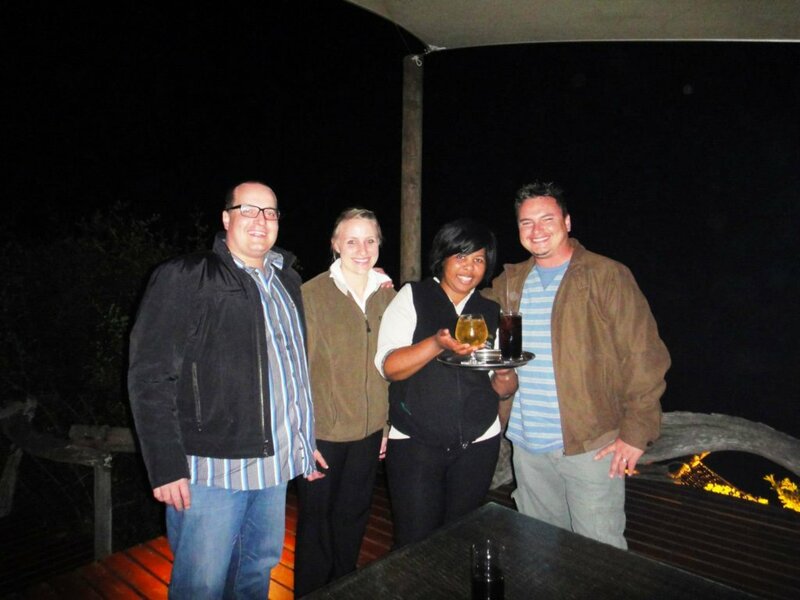 Athenkosi with guests when she first started at Bayethe Tented Lodge. The award ceremony took place at the annual Celebrating Men & Women in Hospitality National Gala Dinner in Port Elizabeth on the 27th of October. This dinner aims to recognise service excellence within the industry. We’re exceptionally proud to have Athenkosi represent Shamwari Private Game Reserve.